Play it as loud as possible! The nature of this recording is a distorted image that came to my mind during the composition of the piece. I worked on Llavi vell during 3 months from july to september 2010. The sound is the result of bowing the strings of the guitar in different fret positions, with a bow made of a long metapiece. 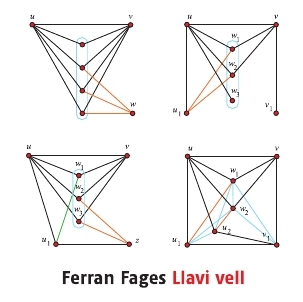 The fret positions were related to the different divisions of the lenght of the strings: half, third, fourth, fifth and sixth. The multilayered composition allows to create a fluid mass with two levels of sound. The first one is a huge mass, almost a drone; but the movement of the bow breaks the illusion of a constant and fluid sound. The second one is a collection of dispersed harmonics, treated as a melodic pattern. The final part of the piece is an epilogue of this melodic pattern. It’s built in different layers of feedback, created from short and repetitive movements of a contact mic on a spring, placed on the surface of a flat speaker.